On Friday,June 15, music fans and festival campers got dirty before lathering up to help Irish Spring® break the GUINNESS WORLD RECORDS™ title for the Most People Showering Simultaneously (Single Venue) at Firefly Music Festival in Dover, DE. Festival goers gathered in a custom built shower as water sprayed down fromoverhead while DJ Jim Pierson kept the party going. 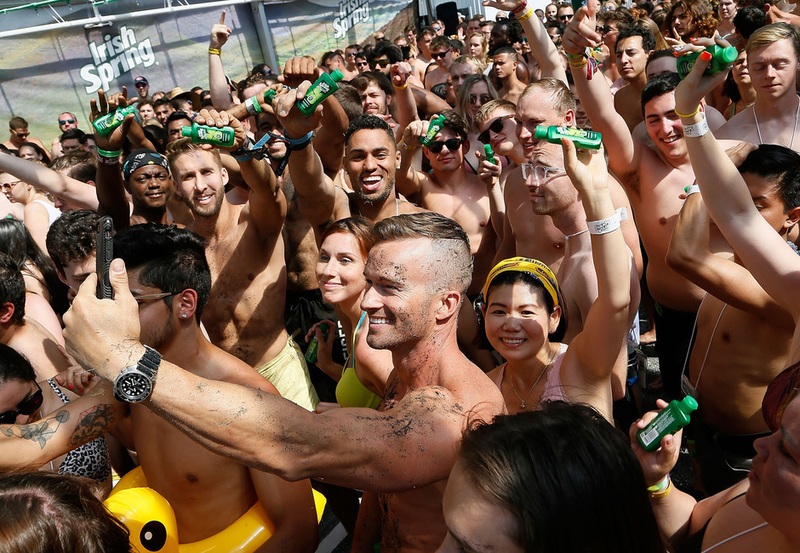 Irish Spring® ultimately broke the GUINNESS WORLD RECORDS™ title at 10 a.m. with 396 participants showering simultaneously for five consecutive minutes – exceeding the previous record holder by 65 people. Known as the East Coast's largest live music and camping festival, Firefly Music Festival attracted over 70,000 campers spanning over four days, according to the festival’s website (2018, June). As the Official Grooming Product of Firefly Music Festival, Irish Spring® also supplied body wash to over 400 showers across the campground throughout the weekend. To learn more visit IrishSpring.com or follow #IrishSpringxFirefly on social media. Founded in 2012, Firefly Music Festival is the east coast’s largest alt-rock, hip-hop and electronic music and camping festival, taking place annually in The Woodlands of Dover, DE. The Woodlands is the place where festival fans immerse themselves in amazing performances, enjoy a wide assortment of food selections, spend late nights with friends in the campgrounds, and make memories that last a lifetime. Firefly 2018 will take place June 14 - 17 and features headliners Eminem, Kendrick Lamar, Arctic Monkeys, The Killers and more. Visit FireflyFestival.com for more information. Guinness World Records’ worldwide television programmes reach over 750 million viewers annually and more than 2.7 million people subscribe to the GWR YouTube channel, which enjoys more than 264 million views per year. The GWR website receives over 19.8 million visitors annually, and we have over 14.3 million fans on Facebook.